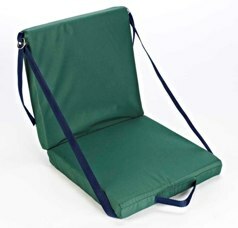 The anywhere chair does exactly what it says on the tin; its a chair that can literally be used anywhere. It folds neatly in two so it can be picked up and used anywhere. It has a wipe clean finish making it suitable for outdoor use.